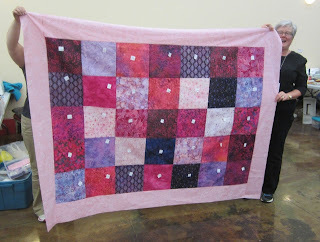 My mom, Betty worked on a pink and purple twister quilt most of retreat. Here is the top together before you start the cutting. Then you cut it apart. Then put it together again. I forgot to get more photos when the top is almost together. Maybe I will have to go to mom's house and get more photos. She worked hard on this quilt at retreat. 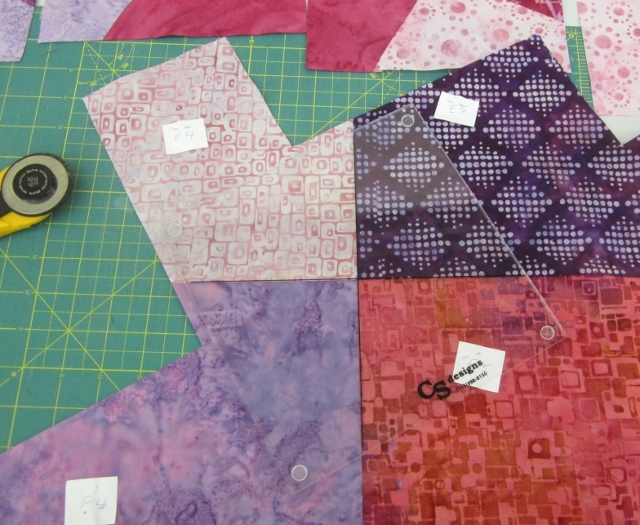 I think I will be doing just the machine quilting part. It was going to be a joint project.